My name is Colin McMahon, and I suffer from Anxiety. To be more specific, I suffer from Panic Disorder, a rarer and more extreme condition. While this level of anxiety is rare, the mental illness itself is not. It is expected that as many as 40 million people suffer from some form of anxiety in the U.S. alone. When I was diagnosed with anxiety… well, to be honest – I knew before I was diagnosed. Others have written and drawn their experiences. 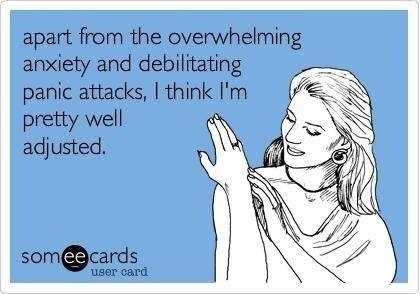 Panic attacks appear to be one of the most wonderfully awful things on the planet. Essentially, chemicals in the brain activate the fight or flight response, or the system designed to keep us alive in life-threatening situations. Unfortunately, this often happens in situations that are nowhere near that extreme. 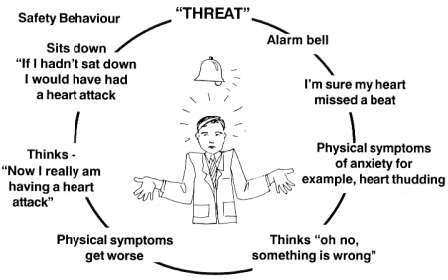 Something as simple as leaving the house can become twisted by Panic Disorder until the mind genuinely fears for its life. The good news is that a panic attack is not dangerous, and treatments do exist for any out there seeking help. 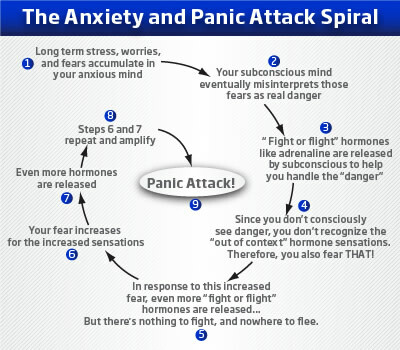 Unfortunately, like most disorders, anxiety and panic attacks work in cyclical nature. I am actually not writing this article to discuss panic attacks. While terrifying, yes, there are not the only real complication that can arise from anxiety. I would like to tell you that I’ve known that fact for a while and am just now deciding to share but the reality is I am writing this because I could not believe how ignorant I was over a condition I have lived with for years. In the past week, I have been given the opportunity to look carefully at my actions, and I have been shocked at how much I have learned. I wish I could laugh at this, but I have had nearly identical thought patterns myself. As loopy as it sounds, it feels real. Anxiety and Anger: Yeah, turns out there’s a correlation. I’m still too new to this stuff to write about it properly so I will just provide some helpful links. For those wishing to understand the general correlation: click here or here. To learn helpful coping strategies, try this article. To see the link with depression: here. Anxiety and Insecurity: This one should not have surprised me as much as it did. Everyone has insecurities on some level, but those with anxiety have to be more careful. We’re already prone to over-think situations and this can create a warped perception of events, as well as spiraling into unwarranted feelings of worthlessness and depression. I will admit, I have been an insecure person my whole life and it is at least semi-comforting to have gained a new understanding of why that is and, more importantly, what I can do to manage it. For those looking for some help, I recommend here and here. Anxiety can twist ideas with the best intentions. 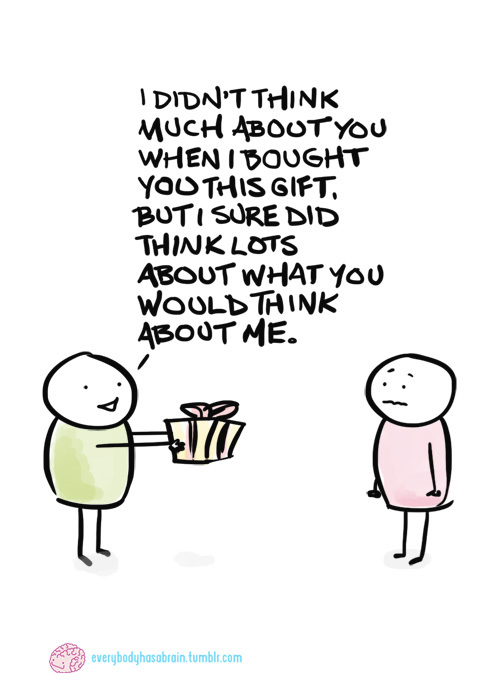 When you have low self worth, you’re driven to go out of your mind to please people – especially if that person matters to you. Anxiety and Relationships: You know, when I look back at how judging I have been of others with mental illnesses in relationships, all I can feel is shame. I honestly don’t know how I went over a year without asking “how is this daily condition going to affect my love life?” Well now I know, and if you have anxiety and are in a relationship: do yourself a favor and get educated before you hurt someone you care about. Here is link to how anxiety can affect relationships. Here, here, and here are links to for the other side. Yes, you lucky ones out there who get to date us nervous Nellies. How long has it been since that term has been used outside the Simpsons? Anxiety is insecurity, fear, and distrust. A powerfully damaging compilation in any relationship. Oh, and here’s a general one for family and friends. I apologize for all the links and lack of content, but as I said: most of this is new to me. A mental illness is never an excuse to mistreat someone, so please if you or someone you know has anxiety – get educated. I promise to do my part with fuller articles in the future. In the meantime, hope you enjoyed my video!